“Finally a place where you never have to say I’m sorry.” Dina Kimmel’s voice caught as she recited her company’s motto and recalled the countless times she found herself apologizing for the behavior of her son, Gabriel, who in 2009 at the age of 2 was diagnosed with autism spectrum disorder. The “here” Kimmel referenced is the We Rock The Spectrum sensory gym she created for kids with autism or other special needs. Each location features uniquely designed pieces of therapy-based equipment such as crash pits and bolster swings that provide sensory stimulation for improved development. 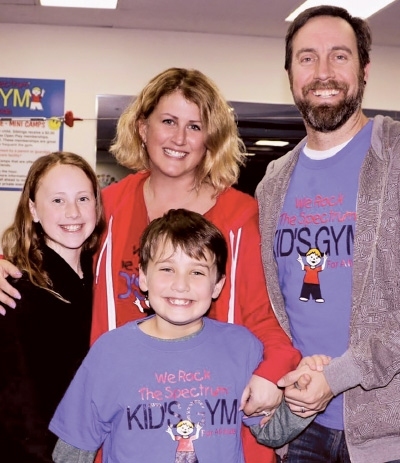 Since the first gym opened in Tarzana, California, in 2010, We Rock The Spectrum has grown to more than 60 locations and in 2014 Kimmel began franchising. This entry was posted on February 4, 2017 by David TEST! Ephraim.